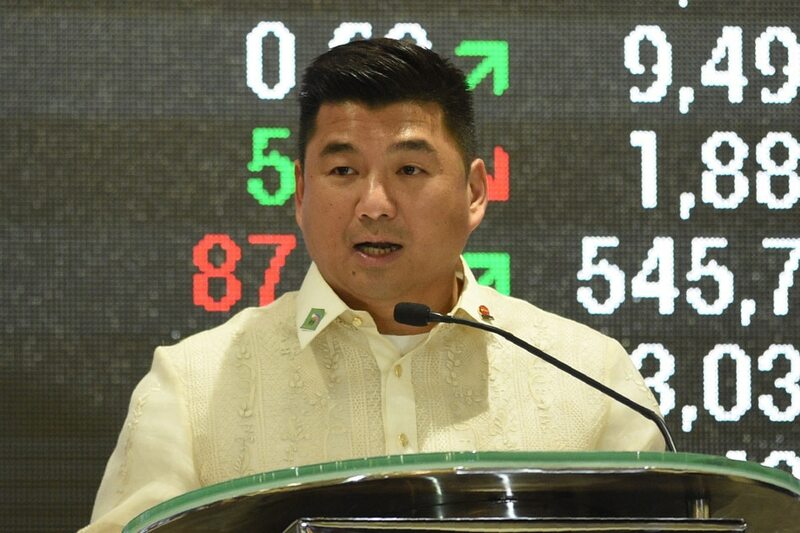 From fuel, shipping, cakes and now, telecommunications, Davao tycoon Dennis Uy's acquisition binge continues, betting on the economy's fastest-growing sectors. On Wednesday, Uy's Udenna Corp and Chelsea Logistics secured "provisional" rights to challenge the dominance of PLDT Inc and Globe Telecom in the telecommunications space. Uy partnered with China Telecom for the effort, forming Mislatel. Regulators said the prospective third telco promised internet speeds that challenge Singapore. When he announced his acquisition of hospitality school Enderun in July 2017, Uy said he found "another opportunity to support the Philippine economy’s growth." His holdings have increased since then. In October, Chelsea secured original proponent status for its P46-billion unsolicited proposal to operate, maintain and expand the Davao International Airport. In September, Udenna Corp said it was acquiring 70 percent of restaurant chain Conti's which is famous for its Mango Bravo cake and baked salmon. Uy said he was "very bullish on the Philippine food industry." Ahead of his telecom foray, Uy's Dennison Holdings bought 45 percent of ISM Communications for P1.28 billion in August. ISM is the former controlling stakeholder in Eastern Telecommunications. In July, Udenna secured antitrust authorities' approval for its acquisition of a majority stake in 2Go. Uy started 2018 by securing approval of his acquisition of the Philippine operator of FamilyMart, the Japanese convenience store chain. Chelsea Logistics listed on the stock exchange in August 2017, with shares up 4 percent on its debut. Soon after, it acquired Batangas Starlite Ferries. In May 2017, Udenna Corp, announced plans to build a $ 300-million (P15.23 billion) casino-resort in Cebu, the first outside Metro Manila. In July 2017, Phoenix Petroleum approved the acquisition of Petronas Energy to strengthen Uy's LPG business. The $ 126.1 million (P6.27 billion) deal will be paid in cash, the company told the stock exchange. Phoenix Petroleum is the seed of Uy's growing holdings. It celebrated its 10 year at the PSE in 2017, with President Rodrigo Duterte as guest. Uy's rise from regional businessman to tycoon has been nothing short of meteoric. His consortium's selection as the third telco player has given rise to speculations that the the government may have "favored" him, as Uy and his wife Cherylyn contributed P31 million to President Rodrigo Duterte's campaign fund in 2016. But Department of Information and Communications Technology acting Secretary Eliseo Rio denies this, saying the selection process was transparent and fair. Ali Yu, president of RS Lim and Company, described Uy as a hard worker despite being very low key and unassuming. "I think he works on the sidelines, he works hard through his connections and everything," Yu said in an interview with ANC. "It's entrepreneurship at work and it's always a good story," Yu said. Peter Coyiuto, president of First Life Financial, also said he admires Uy. "I have high respect for him being aggressive, [a] young aggressive person," Coyiuto said. The biggest threat to the growth of Uy's empire is if the economy slows down going into 2019 and 2020, Coyiuto said.